Join us as we explore the challenge of the blank canvas. 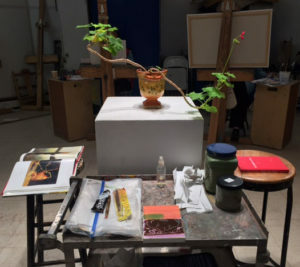 We will paint from personal memories, still lifes and landscapes as we review basics of painting such as composition, drawing, color mixing, light and shade. Also covered: historic and contemporary artworks, artist journals, and topics such as artist’s block. Still life setups and landscape photo references are provided; demos and one-on-one instruction help you develop your own authentic style. All levels of painting experience are welcome. Acrylics, oils or water-soluble oils. 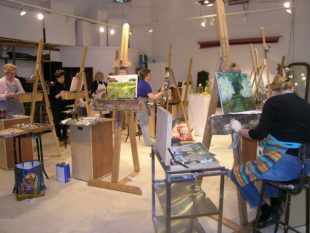 Discover and develop your personal painting style with guidance and group discussion. Line, composition, color and space will be explored in our class. Still-life setups will be provided for those working from life. All media, style and levels of experience welcome.